While browsing the Travel Fashion Girls Community Facebook Group I discovered one reader’s incredible story of how she went from overpacker to minimalist and she’s been kind enough to share it with you. 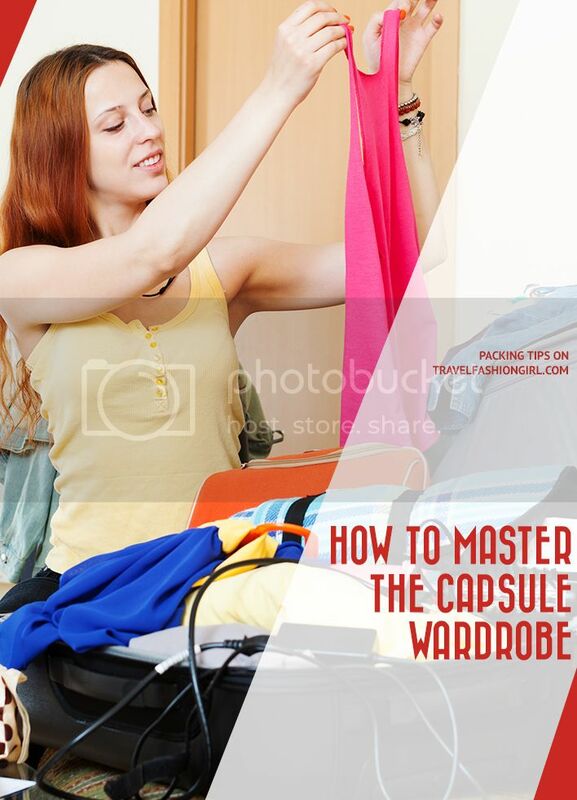 Read on to learn how Deborah Jones masters the capsule wardrobe and read these 5 tips to learn how you can, too! I am not a traveler by nature…never even dreamed I would ever go anywhere. I grew up in a little corner of New Jersey, in the midst of a culture that did not embrace travel. But as my life evolved, I found myself traveling frequently during the pivotal point in the airline industry as security demanded unfathomable changes. Read these tips on how to move quickly through security. I was accustomed to traveling as a “girly-girl.” I never gave any thought, rhyme, or reason to my packing rituals. The only way I knew to pack was outfit by outfit (none of which were to be reworn or laundered). Read this post on how to do the laundry while traveling! If I were traveling for two weeks, I would bring 14 outfits, 10 pairs of shoes, and a briefcase or train case full of costume jewelry and accessories! That was my comfort zone….until one day, the universe decided to teach me the lesson of a lifetime. I was on my way to South Africa, and had a 12 hour layover in London. I had a 22” rolling fully loaded carry on, along with a 14” aluminum briefcase stuffed with costume jewelry. As I attempted to go through security, I was informed that my briefcase was ¼ inch too large, and the agent demanded I check it. Not sure what’s a personal item? Find out. I was savvy enough to know not to check my jewelry, so I refused. I walked away, intending to find a shop where I could purchase a smaller carry on. I was unsuccessful, so I went to a gate agent for my airline, who was kind enough to give me a small tote bag so that I could check my empty briefcase. I found a bench, sat down, and was about to open my briefcase when I looked up and realized that I was surrounded by armed officers who were watching me open my bag! Who would think something so innocuous could inspire such suspicion? I was frightened beyond words, but I continued to open my briefcase as they watched me pull gobs of necklaces and earrings out of the “dubious” case, and stuff them into my new tote bag. Once they were satisfied that I posed no threat, they walked away without saying a word to me, but giving an “all clear” in their walkie talkie. Traveling wit jewelry? Here are a few tips on packing and organizing. Well, needless to say, I nervously checked the empty bag, went through security and found a quiet traveler’s room where I could calm down and meditate on the vast changes of airline travel. I had a 12 hour layover to contemplate why I felt the need to travel with SO MUCH STUFF. 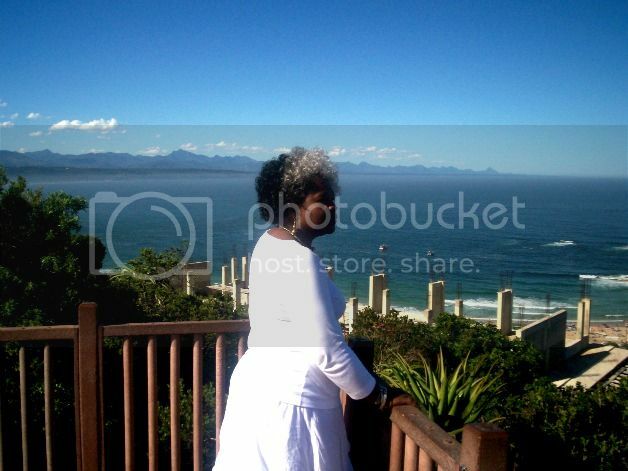 I did finally arrive in South Africa. I donated the briefcase to someone, and I gave away most of what I was carrying. Upon my return to the States, I was faced with a journey to Israel. I packed better than I used to (no briefcase with jewelry! ), but I was STILL too heavy. I brought a 24” suitcase and a 22” carry on. Can’t choose the right travel luggage? Read these awesome tips! Imagine my stress when we arrived in Israel and the plane offloaded us on the tarmac! We had to walk across the field and climb what looked like an IMPOSSIBLE set of stairs carrying BOTH pieces of luggage! It took me two weeks just to recover from THAT burden! Don’t let a heavy bag weigh you down. Read this post on how to save weight in your baggage. Those experiences set me on a quest to learn how to pack efficiently and concisely. I am a moody, creative person, and I crave daily variety, so it took me a while to master the travel wardrobe capsule concept. This is where TFG really helped! Alex’s approach really made the concept gel for me. So after many false starts, I have finally come up with a wardrobe capsule that works for me…with only 8 pieces of clothing! Take a look at these sample packing lists for inspiration on how to create the travel wardrobe that’s right for you. I am 60-ish, and opt for the Lagenlook style since I am more “Bellylicious” than I care to be (LOL), so my capsule consists of 3 asymmetrical tops, and 1 vest in jersey, 1 black lace vest, and I opted for ankle length skirts, which include one reversible black and gray reversible skirt, and a black cotton ruched skirt. I added one gray and black printed swing and two scarves to add versatility. The looks to be obtained are as infinite as your own personal creativity, and at last count, I discovered over 40 looks from these basic 8 pieces! Learn how to easily mix and match travel clothes. 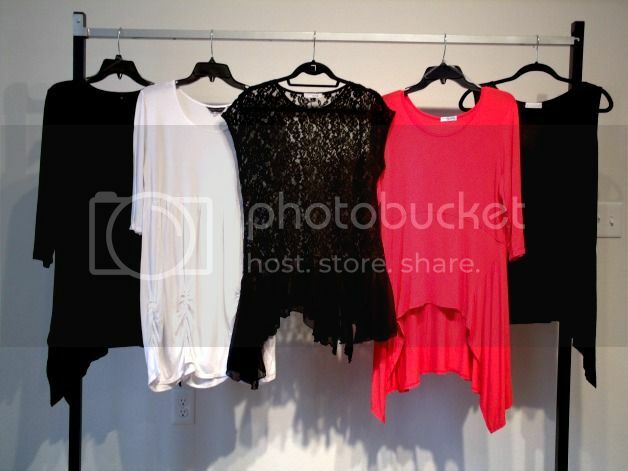 And the greatest thing about this capsule is that every piece was purchased for $30.00 or less! Finally! My dream came true! I can travel LIGHTLY without feeling deprived! I could actually travel with a simple tote bag! I’M CURED!!! Thanks Alex! Want the ultimate guides for packing light? 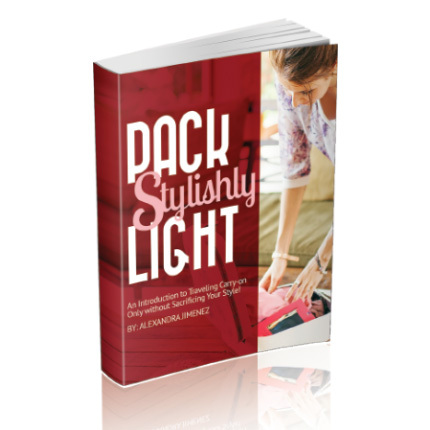 Read our Pack Light Stylishly book to get started and take our master class if you’re ready to Stop Overpacking! If you’d like to share your travel wardrobe ideas, please contact me to submit your packing tips. Please share this post with your friends on Facebook, Twitter and Pinterest. Thanks for reading! Whew! What an inspiration. I have been a full-time traveler for over 3 years now – 43 countries and 22 states so far. I started out with only carry on, but went larger recently. What a mistake! I am now searching for my capsule style – one that fits me. I am going to Cuba soon, so wish me luck! Terrific story, terrific concept. Thanks. Wow! This is one of the best stories yet. From 14 entire outfits down to just 8 pieces of clothing – I am truly impressed. You give me hope. I’m struggling to get down from the 15 pce “Maximista” to the 12 pce classic packing list. I’d like to get down to 10 pieces but I just can’t seem to resist that urge to toss in a few little pieces more, just in case. Thanks for sharing. She truly is an inspiration! Once you find the right pieces you’re good to go! Within the top ten of my favourite posts, thanks! Great classy choices. I have also been ebaying to come up with a minimalist travel wardrobe that works for me. I’d also like to add that you are a lovely lady and you look like you have a kind and beautiful spirit with that big smile of yours. Interesting list….. I’ve pared mine *way* down, and learned to coordinate colors and pack light fabrics – but I still struggle with sheer quantity. I’m a “well, I just MIGHT need this, I’ll toss it in” kinda gal, and that’s my downfall. I must become more ruthless for the next trip! Thanks for your insight. Hi Debra, where did u purchase the skirts? Hi Jen! I found both skirts on eBay, and both of them were under $30.00! The black ruched skirt is cotton, and just needs to hand overnight after packing and its ready to go. The grey and black reversible skirt is by Nally and Millie and absolutely never wrinkles. Thanks for asking! I think this would work for me. Just what is “one gray and black printed swing”? Perhaps skirts? I will ask Deborah and make the change. Thanks for reading! I am so sorry. That was my error. It was supposed to say “swing cardigan.” Mine is in muted shades of grey and black, lightweight, versatile, and warm! Thanks for asking! Love this! Such a nice capsule wardrobe. All of your choices are sophisticated but also look very comfortable! I’m still trying to achieve that balance. Great work! Thanks Nina! I am working on some other color combinations now! Oooh Deborah, i really love the style of your outfits! Comfy, but still really fashionable with the lace and ruched details. Thanks for sharing! Thank you ever so much for such an awesome opportunity, Alex! Namaste’! I love Deborah’s story and her writing style – and the clothes look awesome! Thank you for sharing – I’m inspired.